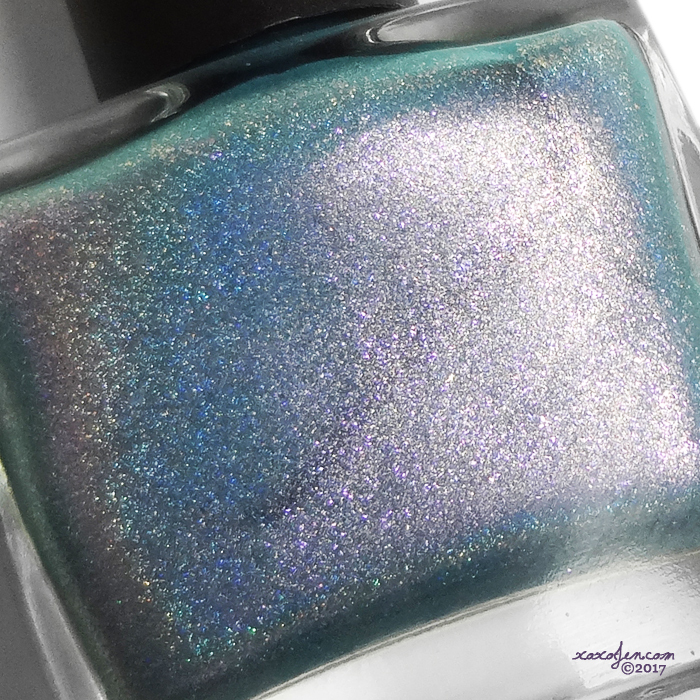 The Magician's Trick from Blush is a Limited Edition Trio that will be available at Polish Con in Chicago September 23 along with Blush's exclusive, It's A Breeze On The Trapeze. The Magician's Trick trio is inspired by the three acts of a magic trick. The beginning or first act called "The Pledge" where the magician shows you something ordinary. The middle or second act called "The Turn" where the magician takes the ordinary something and turns it into something extraordinary. And finally, "The Prestige" the third and most difficult act, where the magician brings it back, because it isn't enough to just make something disappear, right? These are also loosely based on the Christopher Nolan film "The Prestige". 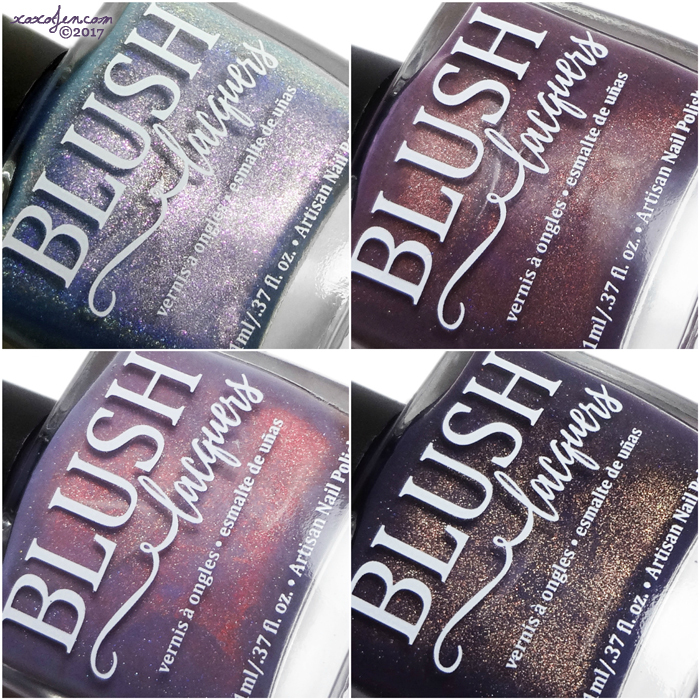 *if there are leftovers after Polish Con they will be on the Blush website, but will not be restocked or repoured. 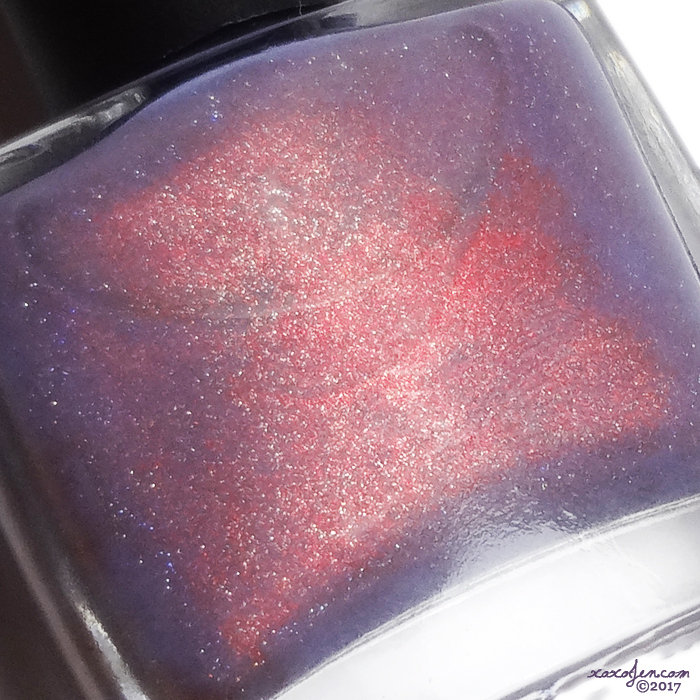 A lavender base with a red shimmer and scattered holo. 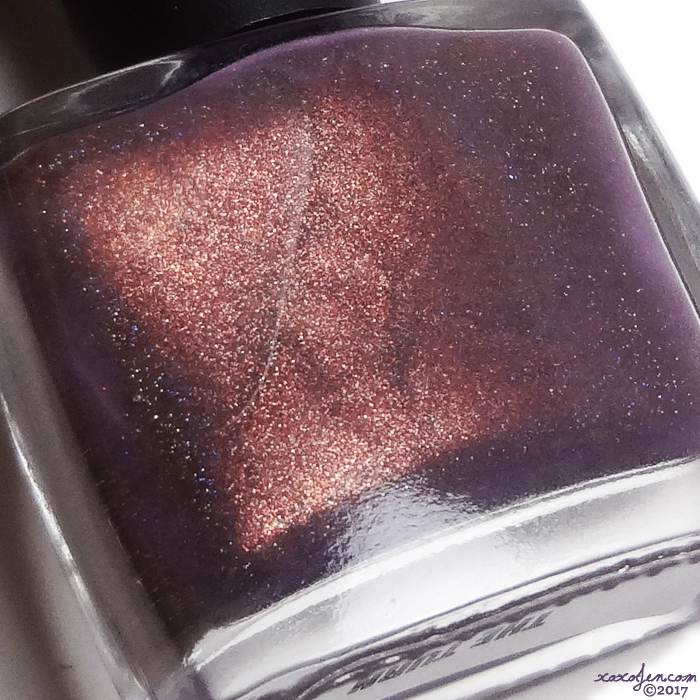 A plum base with a brown shimmer and scattered holo. 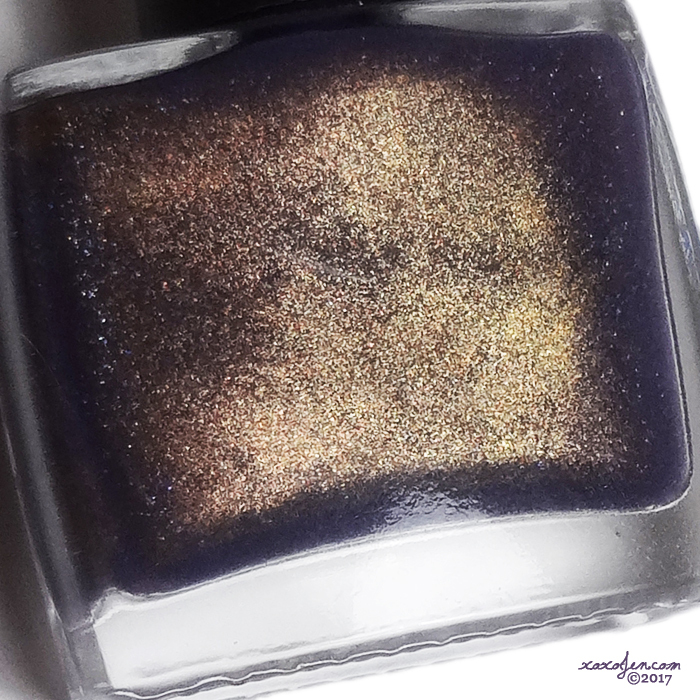 A deep purple base with a coppery-bronze shimmer and scattered holo. I'm in love with all three of the trio polishes. Formula is fantastic, they're all perfect in two coats and I _still_ can't gush enough about how much I love that brush. Wide but not too wide, flat, rounded on the end for a perfect cuticle line and super soft so the polish just glides on smoothly with no bald spots or streaks. I rarely ever need to do clean up either. 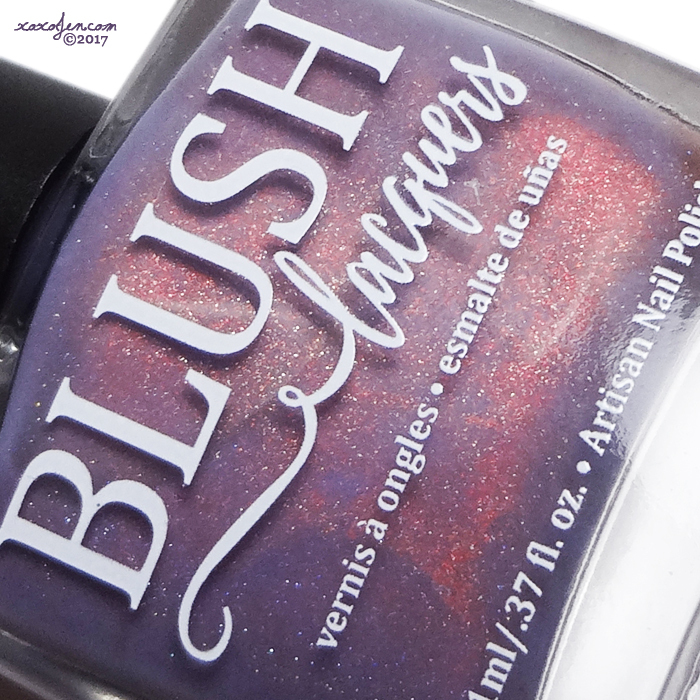 If you have never experienced Blush, do it. Next is the Polish Con Exclusive which is ONLY available at the Polish Con event. It will not be sold elsewhere. 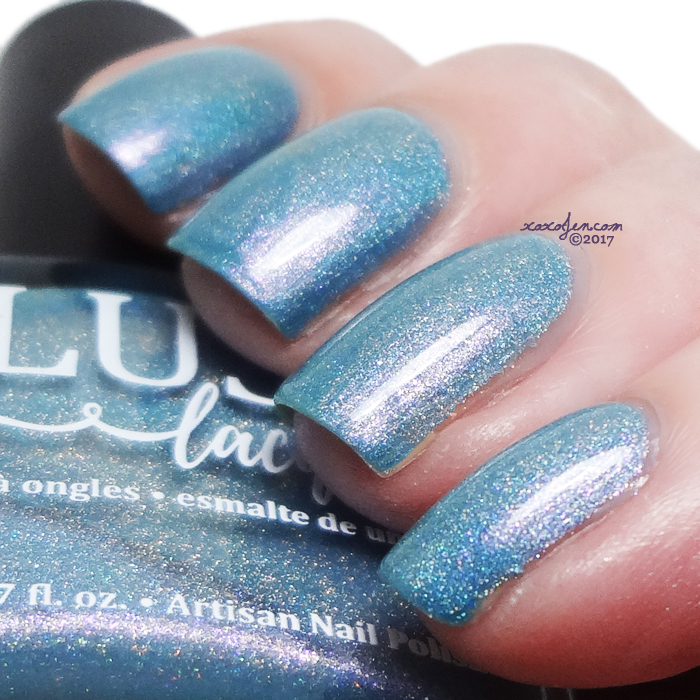 A robin's egg blue based holo with a pink shimmer. 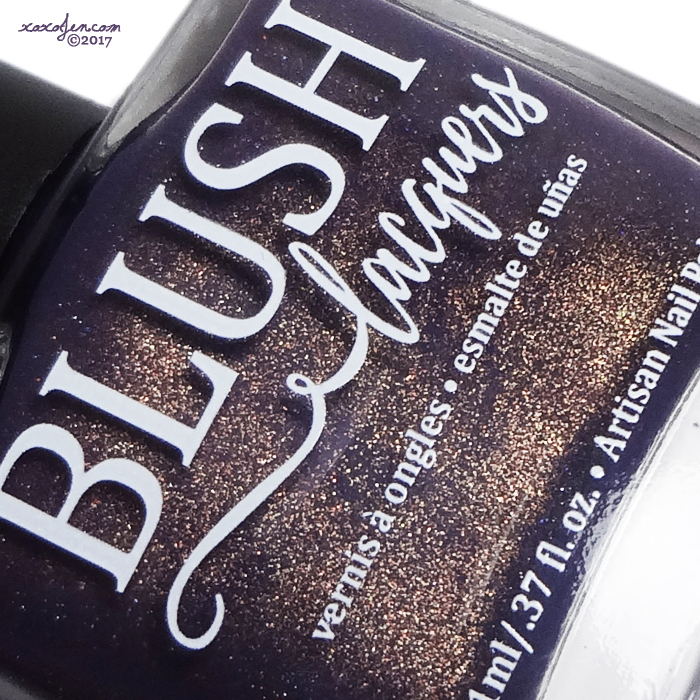 The shade was inspired by the bright sparkling circus costumes of trapeze artists. Shown is two coats with topcoat, again perfect formula and easy peasy application. Are you excited for Polish Con? I know I am, and I hope to see you there in just a few weeks! I like the look of all of them.